Very few herbs have been studied in CKD patients. What may be safe for healthy persons may not be safe for someone with CKD, and in fact, could be dangerous. Therefore, you need to be very cautious about your use of these products. The government does not regulate herbal supplements, so the exact content of these products is unknown. Without regulation, there are no requirements for testing, so the purity, safety and effectiveness of the products are unknown. Herbal preparations are subject to contamination (may contain toxic heavy metals such as lead or mercury). Products may contain minerals harmful to CKD patients, for example: potassium. Some herbs that may serve as diuretics may also cause “kidney irritation” or damage. These include bucha leaves and juniper berries. Uva Ursi and parsley capsules may have negative side effects as well. Many herbs can interact with prescription drugs. A few examples are St. Johns Wort, echinacea, ginkgo, garlic, ginseng, ginger, and blue cohosh. Transplant patients are especially at risk, as any interaction between herbs and medications could potentially put them at risk for rejection or losing the kidney. It is important to ask your doctor and/or pharmacist about any herbs or medicines you want to take to avoid potential problems. These lists are not necessarily complete. More information regarding the use of herbs will become available over time. You are encouraged to proceed with caution with all herbal preparations and use them only under the direction of your medical team. With all of these cautions, perhaps you are wondering if use of any herbs is a good idea. The use of common herbs, in normal amounts, when cooking is just fine and typically recommended to enhance the flavor of foods on a low-sodium diet. Checking with your doctor, dietitian, pharmacist and/or product manufacturer regarding safety, dosage, duration of use, interactions with prescription drugs, etc. Use only standardized herbal extracts made by reputable companies. Never take more than the recommended dosage, or longer than recommended. Do not use herbal remedies for serious illness. Do not use herbs if considering pregnancy. 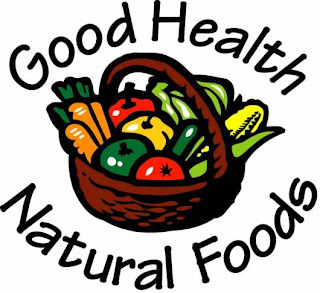 Remember … natural does not mean safe, especially for CKD patients. Be smart and ask questions before using any herbal products. More than 20 million Americans—one in nine adults—have chronic kidney disease, and most don't even know it. More than 20 million others are at increased risk. The National Kidney Foundation, a major voluntary health organization, seeks to prevent kidney and urinary tract diseases, improve the health and well-being of individuals and families affected by these diseases, and increase the availability of all organs for transplantation. Through its 50 affiliates nationwide, the foundation conducts programs in research, professional education, patient and community services, public education and organ donation. The work of the National Kidney Foundation is funded by public donations. Council on Renal Nutrition for the development of this fact sheet. Did you know that you can create short links with Shortest and make cash for every click on your short links.